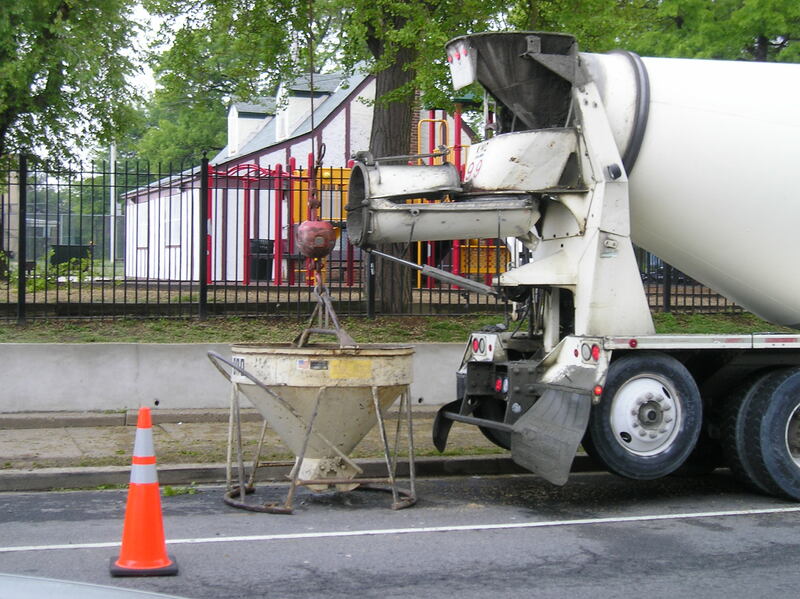 swimming pools | Park View, D.C.
An issue I’ve been watching closely this summer is the hours of operation for DPR pools and spray parks. For years, neighbors have wanted the pool at the Park View Recreation Center to open earlier on Saturday and Sunday, perhaps around 9:30 or 10 am. It currently opens at Noon on weekends. While past attempts have been unsuccessful, I think the time is right to push for this change again. Starting on June 30th, DPR decided to extend hours when its its spray parks would be open from 9:30 am to 8:30 pm. While this is great, it doesn’t really help Park View. Never-the-less, as DPR seems to currently be open to changing service hours for spray parks, its time to push for the same consideration for local pools too. The Walk-to-Learn-to-Swim pool at Park View Recreation Center. In May 1967, Vice President Hubert Humphrey announced that Washington would get 15 new swimming pools. 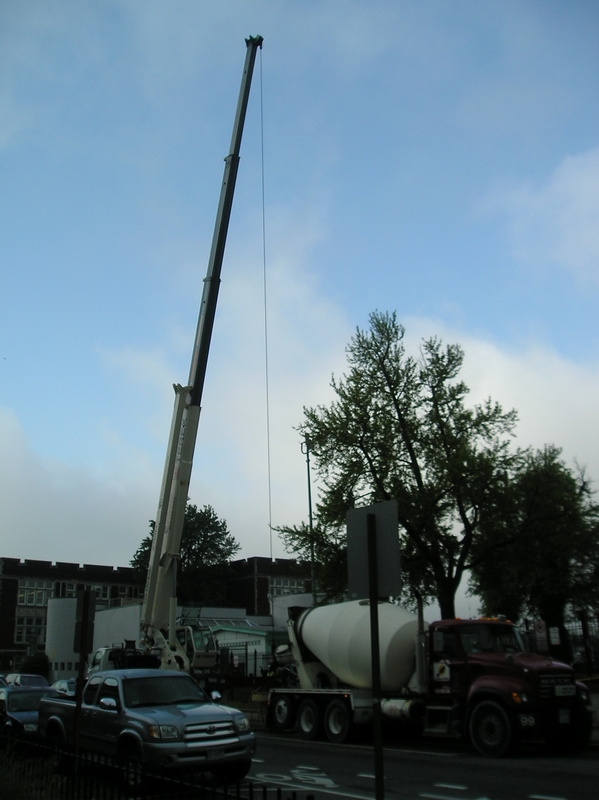 The new pools would be 20-by-40-foot pools and were expected to be completed by July. 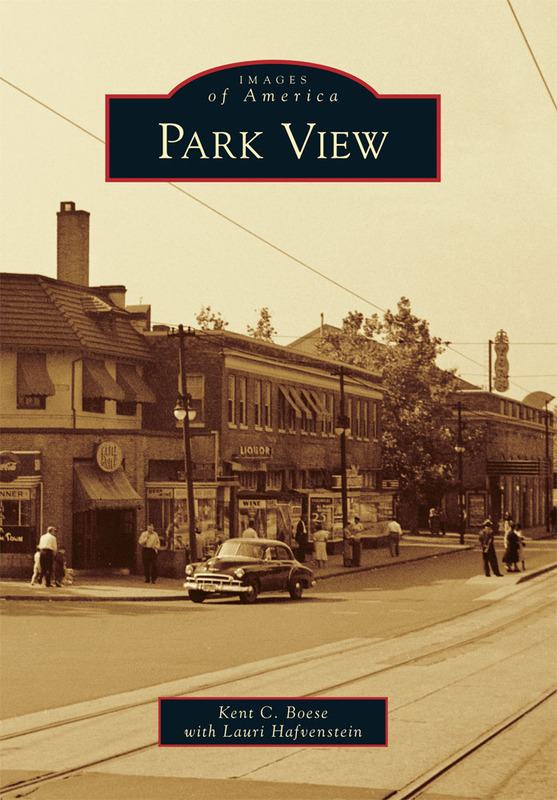 The pools were designed to be shallow pools and to be located on playgrounds or community centers (including Park View), where they would be intended to be used by small children for wading and learning to swim. 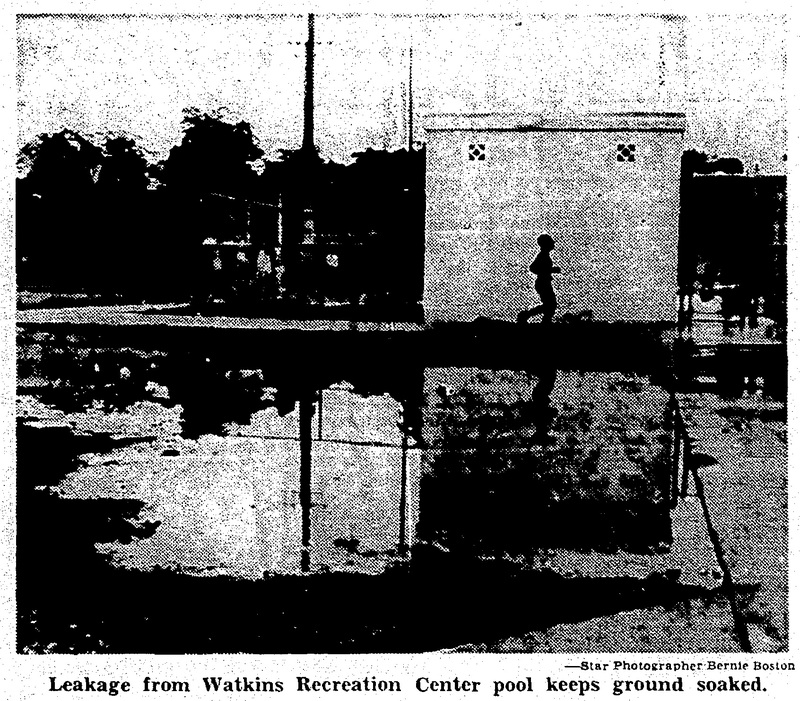 Image of Watkins pool with leaked water — from the Washington Evening Star, July 16, 1967. 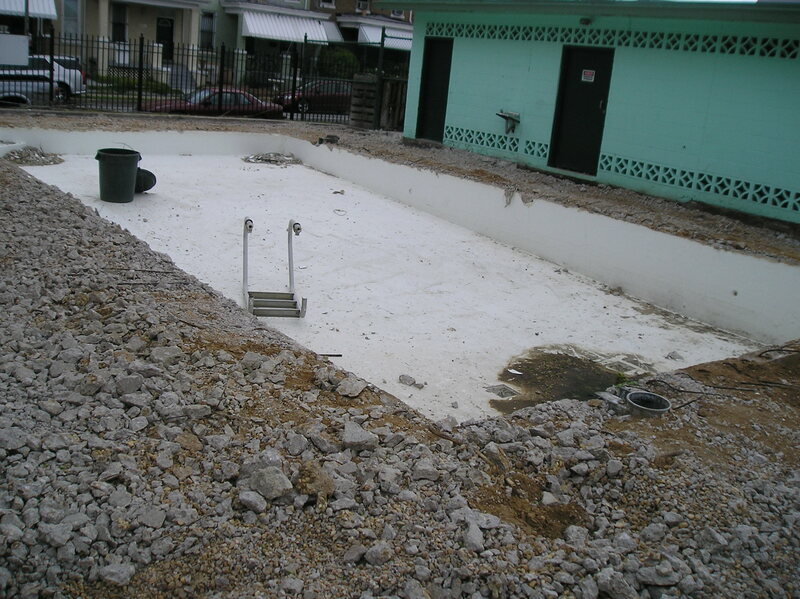 The total cost budgeted for the new swimming pools was $40,000. 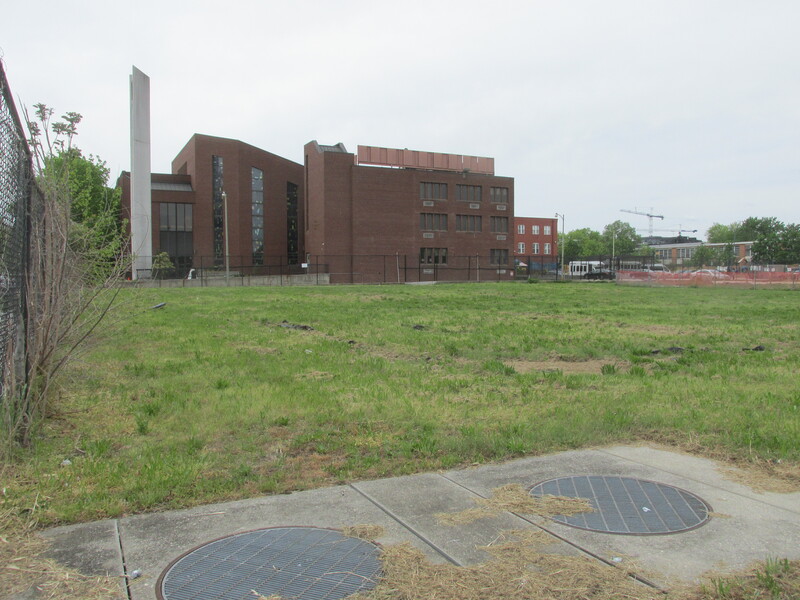 The first three — at Watkins Recreation Center, Barry Farm, and Deanwood — were completed and open by July 16. However, they were found to have a design flaw that caused water to flow out of the pools and onto the grass surrounding them. The worst conditions were at Barry Farm and Watkins. At Watkins, the water ran to the sidelines of the softball diamond. At Barry Farm, the water ran downhill onto a children’s play area and directly under a set of swings. Efforts were undertaken to correct the problems and adjust construction of the other twelve pools then being built. The final six pools opened in mid-August, behind schedule. 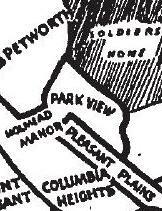 They were the pools at Wilson, Benning Stoddert, Parkside, Lincoln-Capper, Garrison, and North Michigan Park. While the pools were considered a success, when children began to enter the pools after hours the recreation department adopted a process of emptying each pool on a nightly basis, with each pool holding between 14,000 and 35,000 gallons of water — a very wasteful and time consuming practice. It also meant that the pools were not filled or used at all in 1977 due to an area water crisis. With the pools now reaching their 50th anniversary, I reviewed the sites of each pool and discovered that only four of the original 15 pools still exist. These are at Park View, Watkins, and Lincoln-Capper. The map below shows the location of all 15 pools, with existing pools in blue and pools no longer existing in red. Reviewing the locations of the Walk-to-Learn-to-Swim pools also provides insight into the changing nature of playgrounds in the District of Columbia. 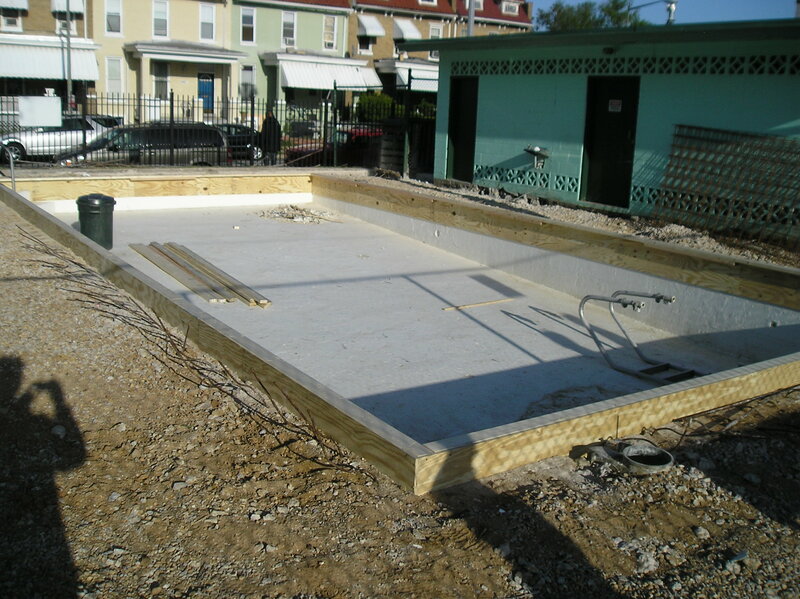 For example, some pools have been replaced by aquatic centers (Barry Farm and Deanwood), some merely are gone while the playgrounds still exist, and in some cases the entire playground/recreation center no longer exists. An extreme example of the latter is with the old Garrison Playground which is nothing more than an empty field today. It is difficult to tell what the future may hold for the remaining four Walk-to-Learn-to-Swim pools. While the ones at Park View, Happy Hollow, and Watkins still appear to be going strong, the playground around the old Lincoln-Capper pool is currently surrounded by work to upgrade the surrounding playground, presumably to partially accommodate the neighboring Van Ness school. Below are photos of Watkins and Lincoln-Capper as they currently appear. 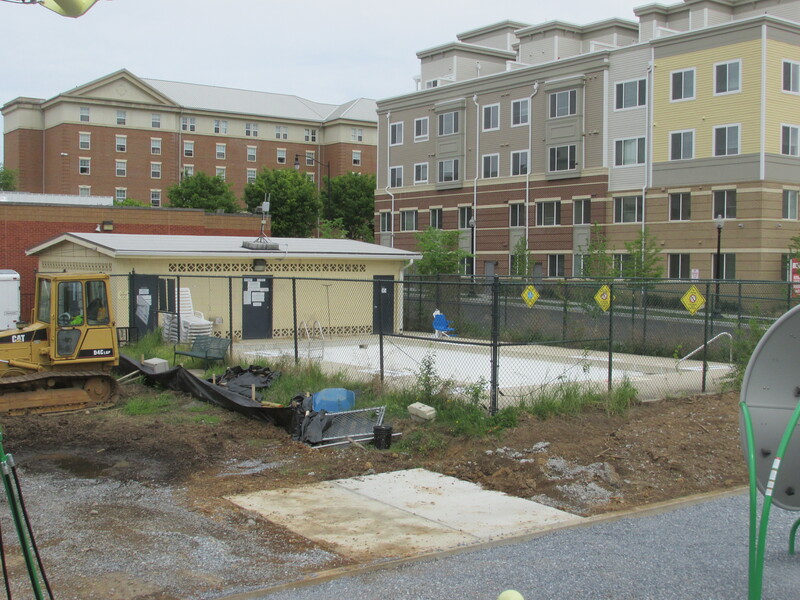 Over the weekend, it was learned that the Rec Center was having some work done on its pool. I’m happy to report that they’ve made quick work of this project. 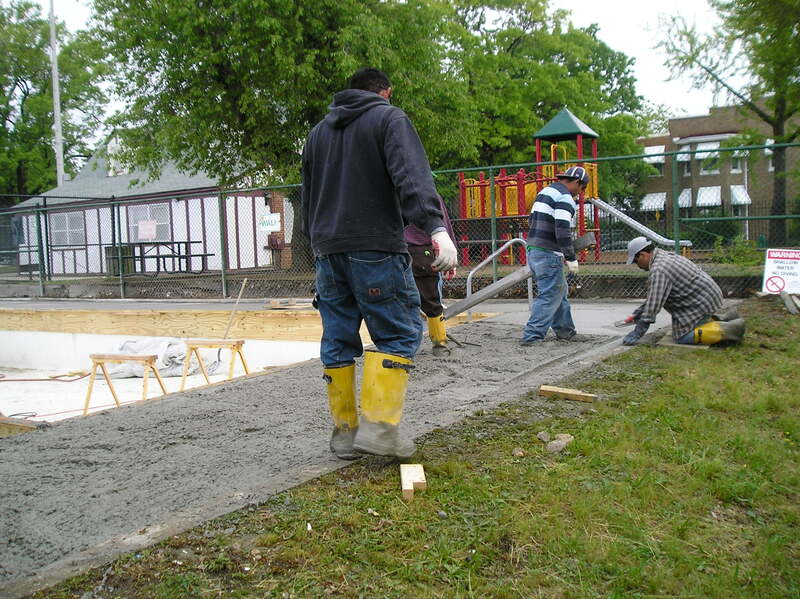 Yesterday morning a crew was out pouring the new concrete deck. The job had the added complication of the pool being on the other side of the fence than the mixer, requiring a crane to hoist the new concrete in one bucket at a time. 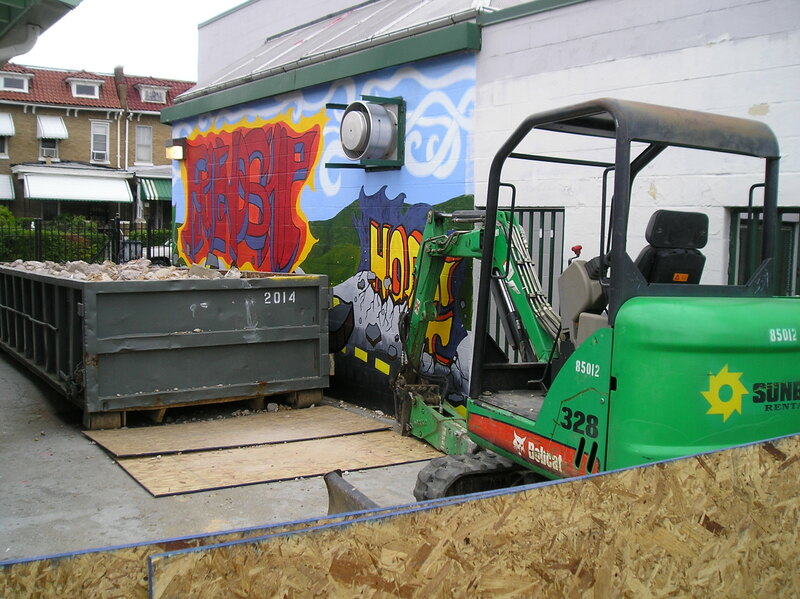 It was also complicated by a few residents that had not moved their cars dispite the street being properly posted as “No Parking” during the hours of construction. 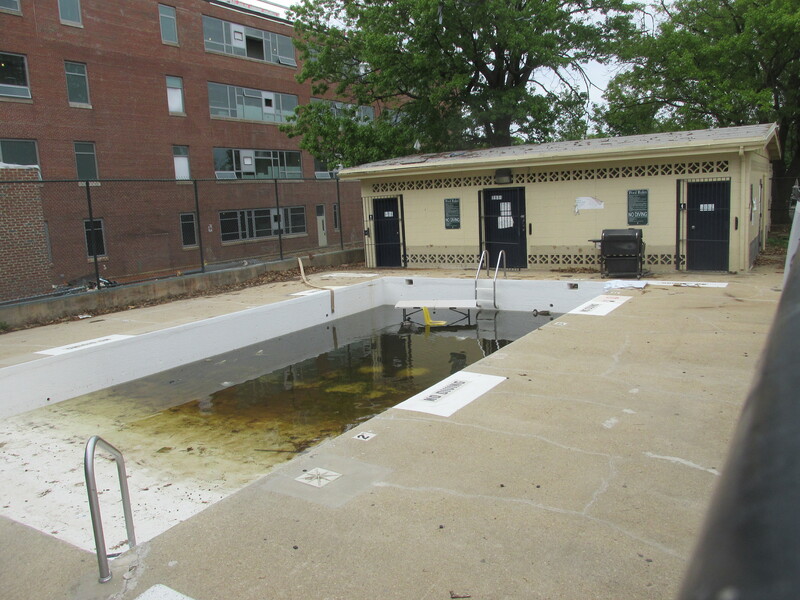 I was a little surprised to discover that the deck around the pool at the Rec Center was being redone. It’s a project that I’d heard absolutely nothing about despite having had multiple conversations with DPR this month. 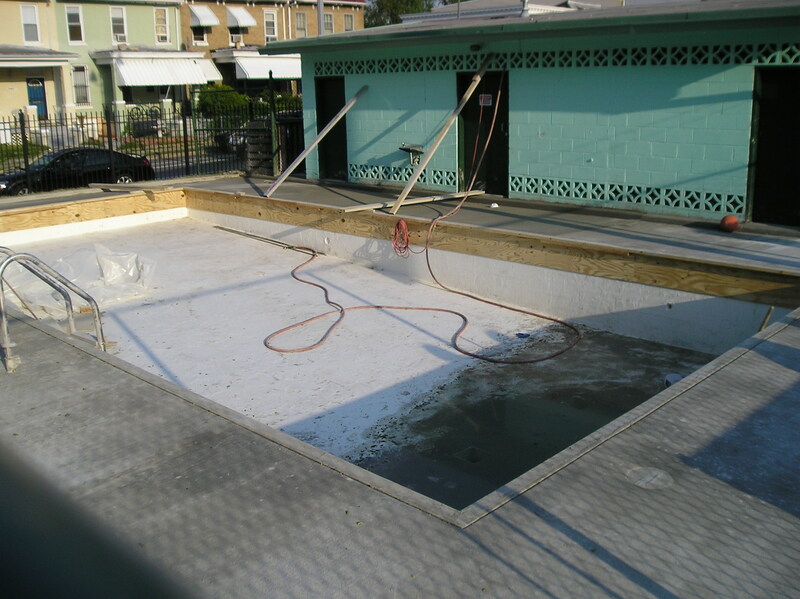 I haven’t been able to get many details beyond that the goal is to be done before the pool opens for the season.